Jessica Hische is a letterer, illustrator, type nerd, and secret web designer best known for her personal projects, obsession with cats, and occasional foul mouth. She served on the Type Directors Club board of directors, has been named a Forbes Magazine “30 under 30” in art and design as well as an ADC Young Gun and one of Print Magazine’s “New Visual Artists”. She’s been lucky to work for amazing clients like Wes Anderson, McSweeney’s, Penguin, Target, and Tiffany & Co.
Erik Marinovich is a letterer and designer. As a co-founder of Friends of Type, he’s spent the last several years drawing more letters than you could even fathom. He has worked for clients such as The New York Times, New York Magazine, Newsweek, The Atlantic, Nike, Nescafé and the Gap. His work has been featured in the Type Directors Club annual as well as CommArts Type annual. He believes it’s ok to drink a whiskey at lunch (occasionally) and thinks Doyald Young was a demi-god. Jessica and Erik love teaching workshops at their space in the mission, but have limited availability to do so these days because of balancing work and family life. They are currently scheming ways to get the workshops up and running again, but they will likely take the form of single day weekend or week day / week night workshops. Please sign up for our mailing list for alerts of upcoming events. Because of demand, waitlisting isn’t possible, but we promise to give advance notice when tickets go on sale so you can have your finger on the trigger the second an event is live. We do occasionally host calligraphy and design workshops by guest artists in our space, so keep an eye out for alerts on those as well! We offer on-site workshops for small to medium-sized design teams on a limited basis within the Bay Area. If you would like to inquire about a workshop for your team, please email us. Traveling workshops are harder to coordinate, but reach out and we can let you know pricing and availability. 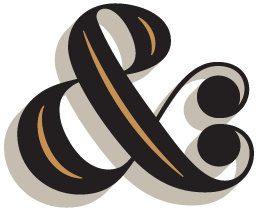 “Letter Together was fantastic, and much more useful than my 10 week typography class! Subscribe for updates about happenings at the studio and for early alerts when workshop tickets will go on sale!